No matter where you are on your journey as a photographer, you will eventually need to step up your game with photo imaging software. Whether you want to brighten a dark photo, remove a distracting background, or let your creativity lead you in a whole new direction, there’s an app for that. Photo editing apps for Mac come with a huge variety of features and at many different price points, but some great image editors are completely free to use. While a few of them have a steep learning curve, and others push in-app purchases, all enable you to turn drab, lifeless shots into photos that pop. We’ve rounded up the best free photo editing software for Mac computers, so all you have to do is start creating. 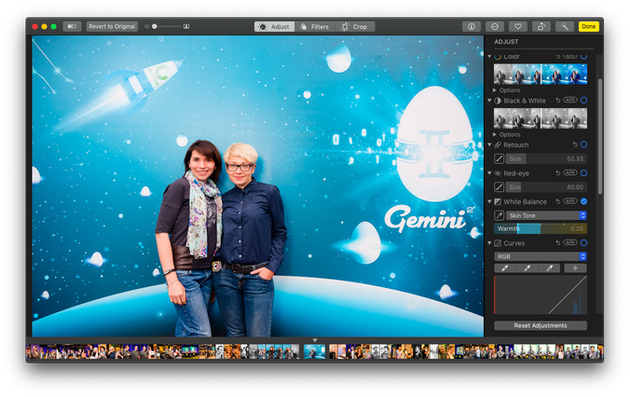 Learning new photo editing software will definitely leave you with many copies of the same picture: the original, the copy with a filter from Polarr, the one you cropped using Preview... To keep just the copies you need, scan your Mac with Gemini 2. This macOS app helps you quickly find and delete duplicate photos, so download it for free and give it a try. If you’re looking for basic tweaks in an easy interface, Polarr may be the best photo editor for your Mac. One of the most desirable features is Polarr’s ability to work as an extension with Mac Photos. It also works across all of your devices and in your web browser. And the best part of Polarr is the easy auto adjustments, which allow you to apply gorgeous edits with a click of a button. Beginners will definitely appreciate the free version of Polarr, and when you’re ready to upgrade, Polarr Pro is $69.99. 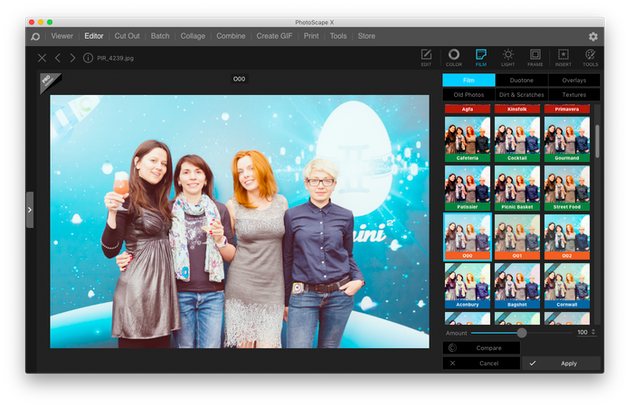 While there’s no point in comparing Fotor to Adobe Photoshop this lightweight photo editor for Mac does have some interesting features. It excels at one-click fixes and filters, and is perfect for busy photographers looking for a quick edit. Fotor’s focus is less on fixing mistakes and making corrections to lighting and tone, and more on creating stylized images that can be shared on social media. There’s definitely a place for this type of editing in your tool kit, and it may work great in conjunction with other image editors on this list. If you’ve moved past the novice photographer stage, you’ve likely started shooting your images in the RAW format so you can fine-tune your edits a bit more precisely. 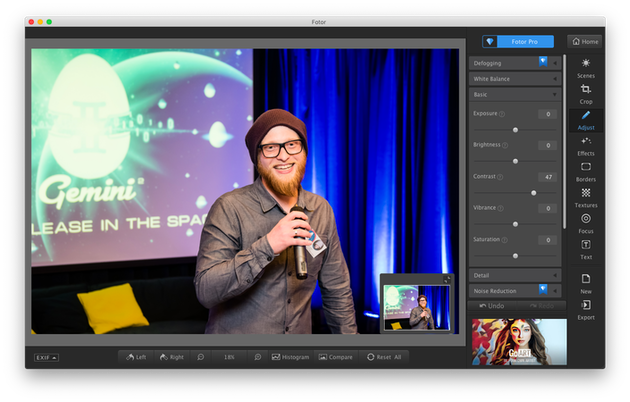 PhotoScape X makes editing RAW photos a breeze, and it provides a lot more than basic retouching. 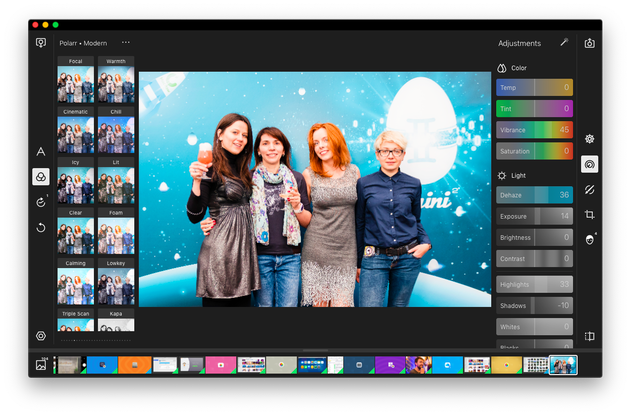 The powerful editing toolkit is very easy to navigate, and advanced features include batch editing, panorama and collage options, and numerous filters. Because the interface is easy to figure out, you will find that your editing skills improve dramatically with experimentation. No matter what your experience level is, PhotoScape X will help advance your technique. 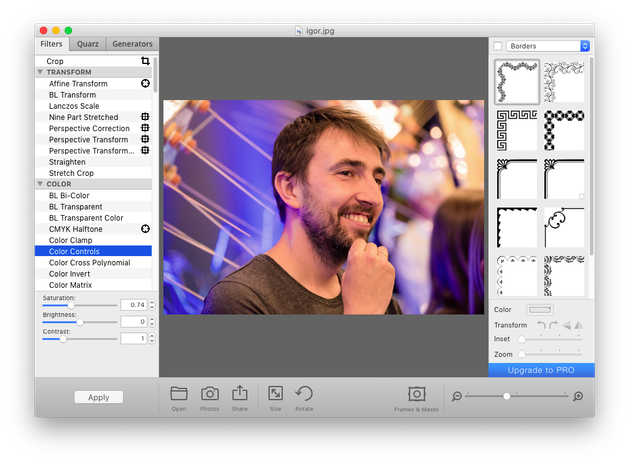 Image Tricks won’t replace any of the standard photo editors for Mac that we’ve included in this list, but it’s worth noting for the fun array of image filters that can be used to liven up your photos. With Image Tricks, you can add text overlays, frames, and wild distortions to your pictures, as well as make a few basic adjustments like highlights and color saturation. When you’re finished creating your masterpiece, there’s a good chance that your photo will look nothing like it did when you started, but that’s part of the fun. If you enjoy experimenting with Image Tricks, you may even be tempted to download Image Tricks Pro, which comes with more advanced filters for $9.99. 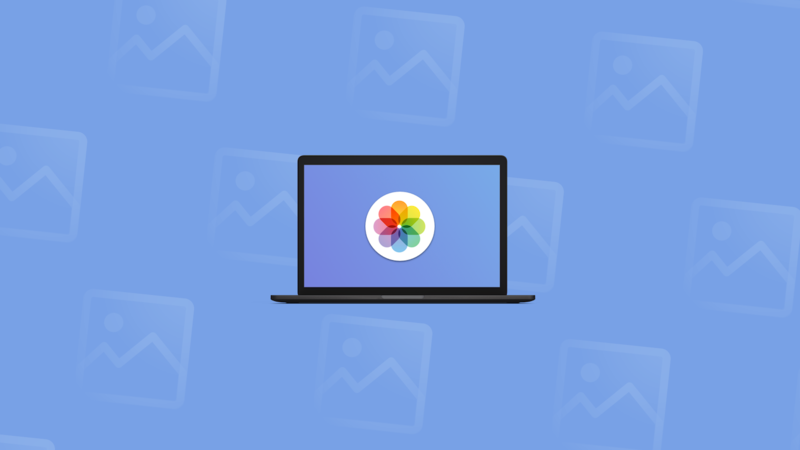 Mac’s native photo organizer and preview tool may not seem like the best apps to fine-tune your photos, but Preview and Photos for Mac are surprisingly versatile. Photos is primarily a photo storage platform, allowing you to group photos based on the time and place they were taken, use face detection to find photos, and quickly order prints. But not everyone knows that it comes with impressive editing tools, like retouching, white balance adjustment, and noise reduction. As for Mac’s Preview, you can use it to adjust the color and size of your photos before exporting them in a variety of file formats. Which free image editor for Mac you choose will depend a lot on your level of experience and how much time you’re willing to put into learning a new tool. If you’re a beginner, you’ll likely be happy with Mac’s own Photos or an app like Polarr, and if your level is more advanced, you’ll enjoy learning the ins and outs of Photoscape X. Whatever editing app you choose, you’ll have plenty of opportunities to improve your photos and apply your own creative flair.